In India, the lunar eclipse will be observed on Monday, 7th August night at 10. 52 PM and it will stay till 12.48 am IST. In India, the Lunar Eclipse can be seen in Asia, Europe, Australia, and Africa While the eclipse cannot be seen in America because it is day time. The MP Birla Planetarium Scientists has also confirmed that the lunar eclipse which is going to happen on 7th August is the partial Lunar Eclipse. They has also said this is the 1st partial lunar eclipse happening in this year. “Starting from 10.52pm, the full moon will enter the Earth’s shadow in space and create a spectacular celestial phenomenon, which is commonly known as partial lunar eclipse. 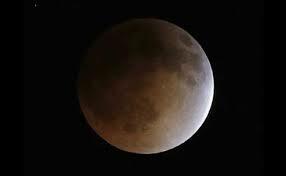 This will be the first properly visible lunar eclipse this year,” Debiprosad Duari, Director Research, and Academic, M P Birla Planetarium, said. “On February 11 this year there was a penumbral eclipse of the moon. It was an event where the moon passed not through the direct shadow of the earth but through its periphery and thus it could not be discernible by most of the population,” he said. A lunar eclipse happens only at full moon. At the point when the sun, earth, and the moon arrive in a perfect straight line and as the Sun’s rays fall on the Earth and its (Earth’s) shadow falls onto a patch of space and the moon enters that patch a lunar eclipse is seen. The shadow is made out of two cone-formed parts, one settled inside the other. The external shadow or penumbra is a zone where Earth shadow is incomplete and hinders a few, however not the all of the Sun’s rays. Conversely, the inward shadow or umbra is a region where Earth obstructs all immediate daylight from achieving the Moon. It is just when a part of the Moon goes through the umbra, a fractional lunar eclipse is seen. “The greatest eclipse, that is when the moon will be covered to the maximum extent will be around 11.50pm. The magnitude of the eclipse, which means the fraction of the lunar diameter, will be eclipsed at the greatest eclipse moment at around 0.25 magnitude. The duration of the eclipse will be around 1 hour 55 minutes.” he said. “In India, the entire total eclipse will be visible from every place. For Kolkata the moonrise will be around 5.58pm and it will be setting on 4.34am next day,” Duari said. 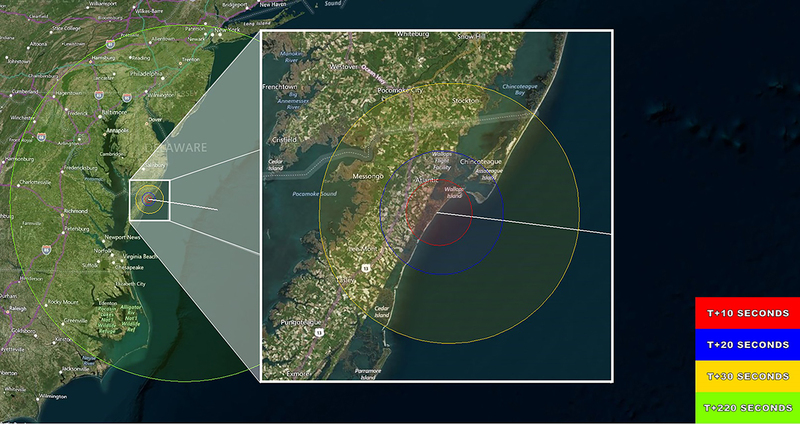 NASA will attempt again to launch a small rocket from the coast of Virginia — one aimed at creating multicolored clouds high in the sky. Just a few minutes after launch, the rocket will release canisters filled with various chemicals, forming green and red artificial clouds that may be seen along the US East Coast. It’s all part of a plan to study how particles move in the upper atmosphere, which could help us better study the aurorae and the parts of our atmosphere that are electrically charged by solar and cosmic radiation. Don’t worry, the chemicals the rocket is releasing are in no way toxic to your health. They’re vapor tracers — gases that create visible clouds high in the sky. They’re made of barium, lithium, and tri-methyl aluminum. Those chemicals may not immediately sound familiar but you have likely seen them in action before — in fireworks. And fireworks usually release a whole lot more of these gases than a typical NASA mission, according to the space agency. NASA has been deploying vapor tracers for a while now using sounding rockets, the small vehicles designed to take instruments to sub-orbital space. This mission will launch on a Terrier-Improved Malemute sounding rocket, though NASA is testing out a new method for getting those vapor tracers into the upper atmosphere. Normally, the tracers were released directly from the rocket’s main payload, but this rocket is carrying up a specialized contraption called the “multi-canister ampoule ejection system.” After launch, the instrument will fling out multiple canisters filled with the tracers, in order to cover a wider area of the sky. A total of 10 canisters, each about the size of a soda can, will be deployed about 4 to 5.5 minutes after launch, NASA says. The multicolored clouds they create will give researchers visual cues to help them track the movements of particles at high altitudes and test out if our models of these particle motions are correct. And these clouds should be pretty high up, too, since the canisters will release the tracers between 96 and 124 miles up. If skies are clear, the clouds could be seen from New York to North Carolina. NASA has been trying to get this sounding rocket up for a while now. The launch was originally scheduled for May 31st, but it has been repeatedly postponed due to bad weather. The space agency most recently tried yesterday evening, but a wayward boat within the launch range caused another delay. As of now, the launch is slated to get off the ground sometime between 9:04PM and 9:19PM ET. The Indian Space Research Organization (ISRO) recently exhibited sunlight based cross breed electric car, designed and created using in-house assets, at Vikram Sarabhai Space Center (VSSC) in Thiruvanathanapuram. ISRO made a declaration about this environment-friendly car on Monday. VSSC is ISRO’s center for making different sorts of rockets like the Polar Satellite Launch Vehicle and the Reusable Launch Vehicle. The showing of the green-accommodating vehicle, held in the most recent week of March, incorporated an effective tough drive. ISRO is currently exploring approaches to cut down the car’s cost. ISRO said vehicles using fossil fuels cause problems to environment and life. “An ideal transportation system should envisage zero emission without any pollution,” it said. The car is run using high-vitality lithium particle batteries, which can be revived using daylight, said sources. The primary difficulties in building up the vehicle included outlining a sun-powered board on top of the car and furthermore control hardware for the battery and sunlight based board interface and, what is known as, “drive electronic” to run the car easily. The Astronomers discovered a triple star system in Planet with a gas giant planet which similar in size of Jupiter. A binary system which previously thought to be single is now actually a pair of stars revolving one another and are a part of triple star system said the Researchers at Harvard Smithsonian Centre for Astrophysis in the US. “Known planets with three stars appearing in their sky are rare—the new discovery is just the fourth and the closest one yet, allowing for a better look than has been possible,” researchers said. Along with the other stars, the main star is also highlighted according to the study of stars and planets. In this new system KELT – 4Ab, which has a gas giant planet which is similar to the size of Jupiter. The other stars named KELT-B and C are very much farther which revolve one another approximately. “The binary system KELT-4BC may be what ultimately drove the planet KELT-4Ab so close to its star,” Jason Eastman, a research associate at the Harvard-Smithsonian Center for Astrophysics and lead author of a study published in the Astronomical Journal, told Space.com. “Exactly how they got so close is an outstanding question, but one theory is that it migrates due to hot interactions with a third body — in this case, the third and fourth bodies KELT-BC,” Eastman told Space.com.